The Monster Energy NASCAR Cup Series is headed to Daytona International Speedway for the Coke Zero Sugar 400 and our Sarah Handy breaks down her picks and who you may want to pay attention to this weekend. 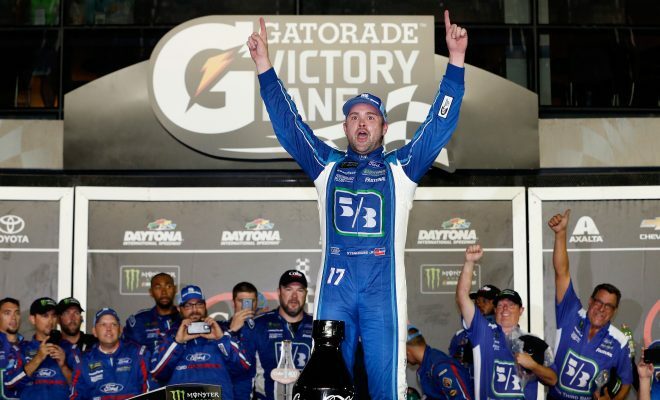 Ricky Stenhouse Jr: Stenhouse Jr is very good at the plate tracks, having won and been consistent when the Monster Energy NASCAR Cup Series has visited both Daytona and Talladega. Stenhouse went on to win at both restrictor plate tracks last season and he’s the defending race winner of Saturday evenings event. In 12 MENCS starts at DIS, Stenhouse has 1 win, 2 top-5’s, and 3 top-10 finishes. He’ll look to improve upon his disappointing 29th place result in February’s Daytona 500 where he was involved in an accident. Stenhouse is my top pick to win Saturday’s Coke Zero Sugar 400, but if he doesn’t win I look for him to have a consistent day and solidly finish within the top-10. Aric Almirola: Almirola came painstakingly close to capturing his second career MENCS win in February’s Daytona 500. His chance came crashing down on the final lap. Almirola tried to block eventual race winner Austin Dillon and had to settle for an 11th place result after crashing into the outside wall. Almirola is having a solid season since joining Stewart-Hass Racing this season and I’m surprised he hasn’t won yet his season. However, Almirola and his team have been very consistent, and the driver of the No. 10 Ford Fusion has seen success at Daytona in the past. In 2014 while driving the famed No. 43 for Richard Petty Motorsports, Almirola won this very race for his first career Cup win. In 13 starts at DIS, Almirola has 1 win, 2 top-5’s, and 2 top-10 finishes. This season he has 7 top-10 finishes and while a win hasn’t come yet it could happen this Saturday evening. I look for Almirola to have a solid evening if he can stay out of trouble. Brad Keselowski: Two years ago, Keselowski won this very race for his first Cup victory at Daytona, but since then he hasn’t finished better than 27th. The 2012 NASCAR Sprint Cup Series Champion is another driver who has yet to find victory lane in 2018 which again surprises me greatly with how he’s been running. In 17 starts this season BK has 4 top-5’s, and 10 top-10 finishes to go along with having led 275 laps. I personally don’t see him breaking his winless streak this weekend considering his last three finishes at DIS. If this was Talladega it may be a different story considering he has an astounding 5 Cup victories at that restrictor plate track. Kevin Harvick: There hasn’t been too many times this season that I’ve chosen to list Harvick has a dark horse. However, even with his 5 victories on the season, his statistics at Daytona in recent years are nothing to rave about. Since finishing 4th in the 2016 Daytona 500, Harvick’s best result at the track is a 22nd place result in February of 2017. These not so great finishes are mainly due to accidents which we know are known to happen at the plate tracks. Harvick did finish 4th when the MENCS visited the other plate track, Talladega in April so he does have that on his side. Anything can happen at Daytona, but Harvick is far from one of my top picks this weekend. However, if I’m wrong about this than I’m wrong. David Ragan: Ragan is a sure underdog pick for this weekend’s event, but you can never count him out when it comes to the restrictor plate tracks. In 23 starts at DIS, Ragan has 1 win, 3 top-5’s and 5 top-10 finishes at the track. Ragan finished a disappointing 30th in the season opening Daytona 500, but finished 6th when the series visited Talladega in April. Keep an eye on Ragan and his Front Row Motorsports team to quickly work their way to the front on Saturday evening. Remember Ragan won his race in July of 2011 while racing the No. 6 for Roush Fenway Racing. Matt DiBenedetto: DiBenedetto has shown he and his Go Fas Racing team are one to keep an eye on even when the series isn’t at the restrictor plate tracks finishing solidly at a number of different tracks this season. I’d certainly keep an eye on them this weekend. In February’s Daytona 500, the No. 32 was just one lap short of finishing in the top-3, top-5 or even capturing the victory when they were involved in an accident leaving them with a 27th place finish. 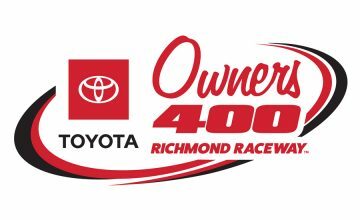 DiBenedetto finished 13th in this race last season and is coming off a 19th place finish at Talladega in April. If driver and team can manage to avoid any mayhem, I believe they could leave DIS with a very solid finish and maybe even pull off an underdog victory. Michael McDowell: McDowell like his teammate David Ragan has run very well at DIS over the years. In 14 starts he has 1 top-5, and 5 top-10 finishes. The last two times the series has visited the track, McDowell has finished 9th (February 2018) and 4th (July 2017), and in his last five starts at the famed superspeedway he hasn’t finished worse than 15th. Kasey Kahne: Overall Daytona isn’t a horrible track for Kahne, he’s had some decent finishes. Now with Leavine Family Racing in the No. 95 the team is considered an underdog team but Kahne could certainly earn a solid finish come Saturday evening. In 29 Cup starts at DIS, Kahne has 2 top-5’s, and 9 top-10 finishes. 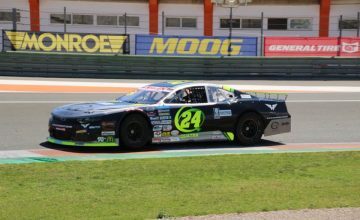 While he finished 18th in this race last season while racing the No. 5 Chevrolet for Hendrick Motorsports I really think Kahne could easily finish in the top-10 if he can manage to stay out of trouble. Kahne’s best finish at Daytona in the Cup series came all the way back in July of 2010 where he finished in the second position while driving the No. 9 for Richard Petty Motorsports. Who do you think will win this weekend’s Coke Zero Sugar 400 from Daytona International Speedway? Let us know in the comments below.